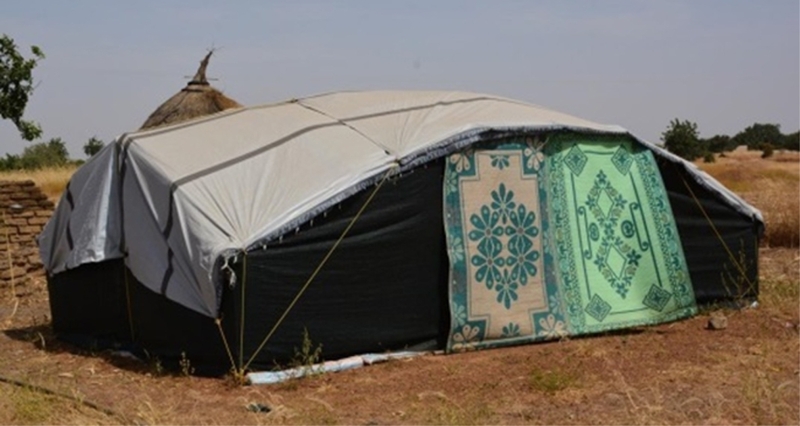 The Sahel Shelter Kit is designed as a context base emergency shelter solution suitable for the Sahel region of Western Africa. Assessment with National Societies from this region has confirmed that this Sahel shelter kit performed in the Sahel context. Perimeter protection: The proposed solution is a barrier with sand bags positioned around the perimeter of the shelter. The bags are made from plastic sacks available in the local market. They are cut in half and sewn by hand to form tubes and finally filled with sand (or available soil) from the site. The plastic bags have to be placed inside the shelter to protect the plastic from the UV radiation and hold down the shade net walls. The kit is designed for family distribution (base on 5 persons / family), one kit per family. This kit includes tools and materials including framing and cover. Refer to individual Product Specification Sheets (click on items in the content list below).